On Saturday April 14- Sunday April 15, 2018 The Hurricane Junior Golf Tour held the San Francisco Jr. Open at Rooster Run Golf Club in Petaluma, California. The tournament consisted of a 36-hole, two-day format and included golfers from six divisions that included the Tiger Woods Division Boys 16-18, Will Smith Division Boys 14-15, Ernie Els Division Boys 11-13, Boys Under 10 Division, Justin Timberlake Division Girls 14-18 and the Justin Rose Division Girls Under 13. 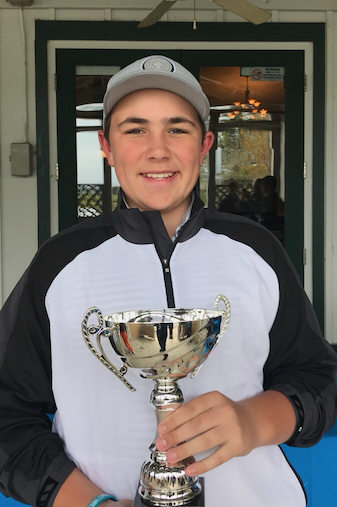 Lucas Happy of Petaluma, California finished in first place in the Tiger Woods Division Boys 16-18. Lucas finished with a two-day total score of 149(73-79). Frank Lopez of San Rafael, California came in second place with a two-day total score of 150(76-74). Avery Chen of Palo Alto, California and Zachary McKay of San Mateo , California tied for third place with a two-day total score of 151. 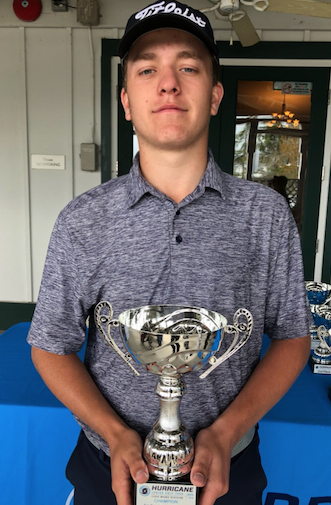 In the Will Smith Division Boys 14-15, Davis McDowell of San Rafeael, California finished in first place with a two-day total score of 149(75-74). Collin Yee of Davis, California came in second place with a two-day total score of 167(76-91). Shahyad Missaghi of Hercules, California finished in third place with at two-day total score of 168(84-84). Luke Powell of Laguna Niguel, California finished in first place in the Ernie Els Division Boys 11-13. Luke finished with a two-day total score of 145(72-73). Charlie Farrell of San Francisco, California finished in second place with a two-day total score of 159(80-79). 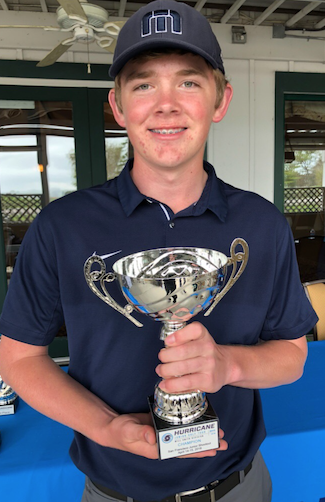 Myles Statsky of Santa Cruz, California came in third place with a two-day total score of 170(91-79). Athena Nguyen of San Jose California finished in first place in the Justin Timberlake Division Girls 14-18. Athena finished with a two-day total score of 151(76-75). Kendall Matrisian of Clayton, California came in second place with a two-day total score of 157(80-77). 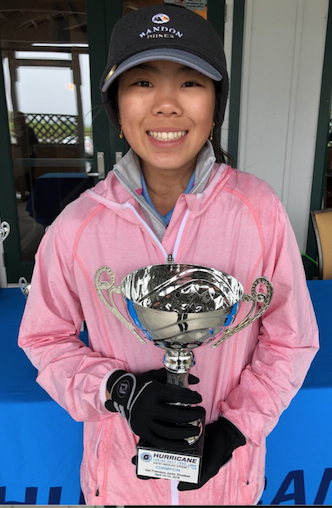 Helen Ye of Redwood City, California came in third place with a two-day total score of 159(80-79). 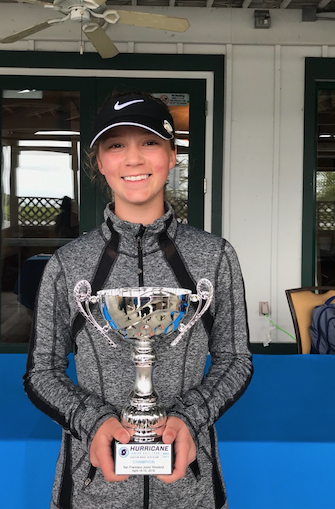 In the Justin Rose Division Girls Under 13, Ellie Bushnell of Granite Bay, California finished in first place with a two-day total score of 149(76-73). Haley Wong of El Dorado Hills, California came in third place with a two-day total score of 156(78-78). Varsha Ramachandran of Freemont, California finished in third place with a two-day total score of 158(76-82). 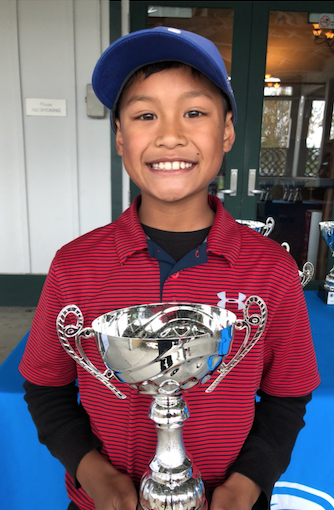 In the Boys Under 10 Division , Jayden Lizama of Elk Grove, California finished in first place with a two-day total score of 141(68-73). Edan Cui of Los Altos Hills, California came in second place with a two-day total score of 142(71-71).